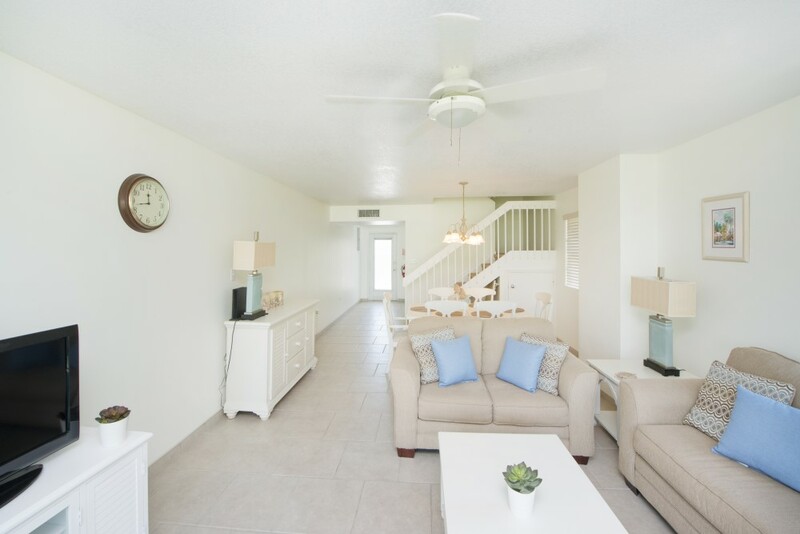 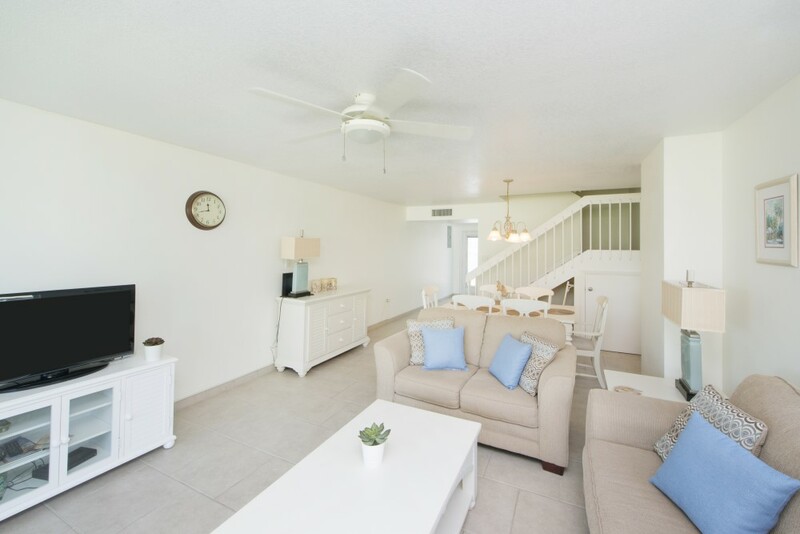 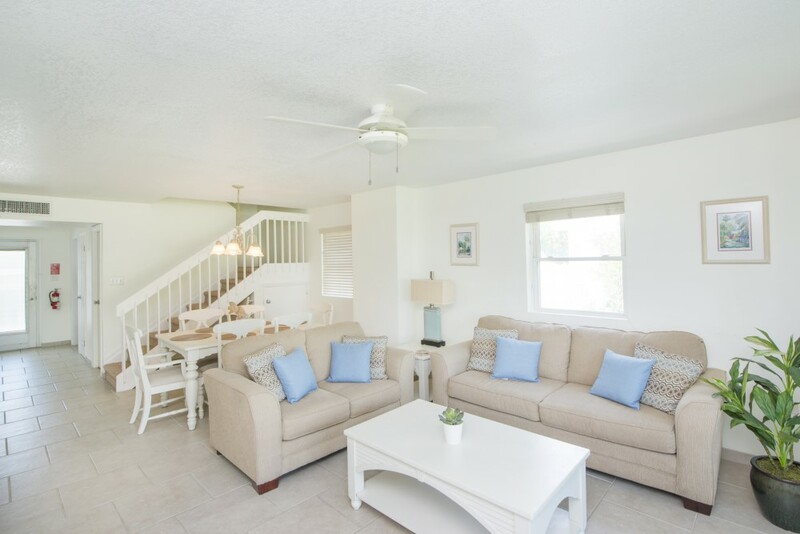 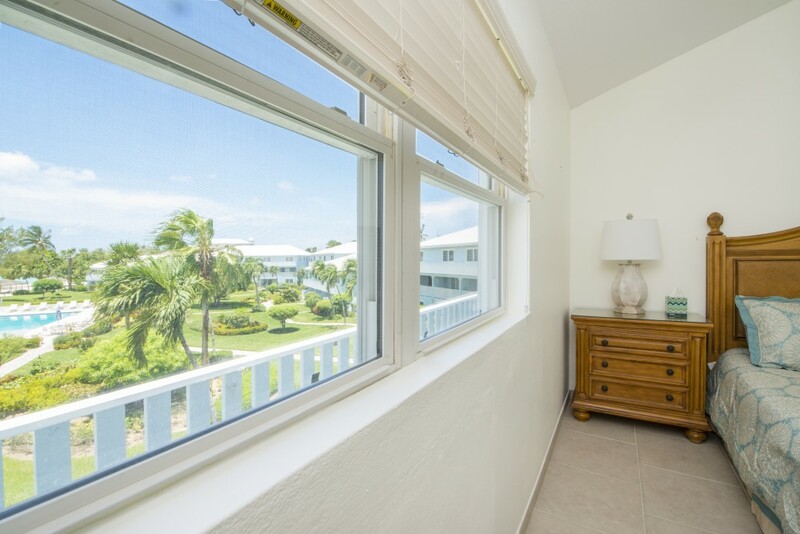 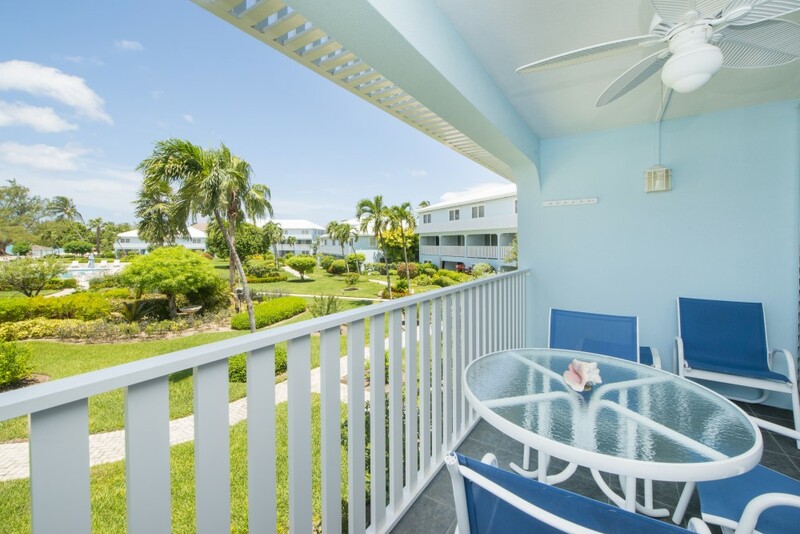 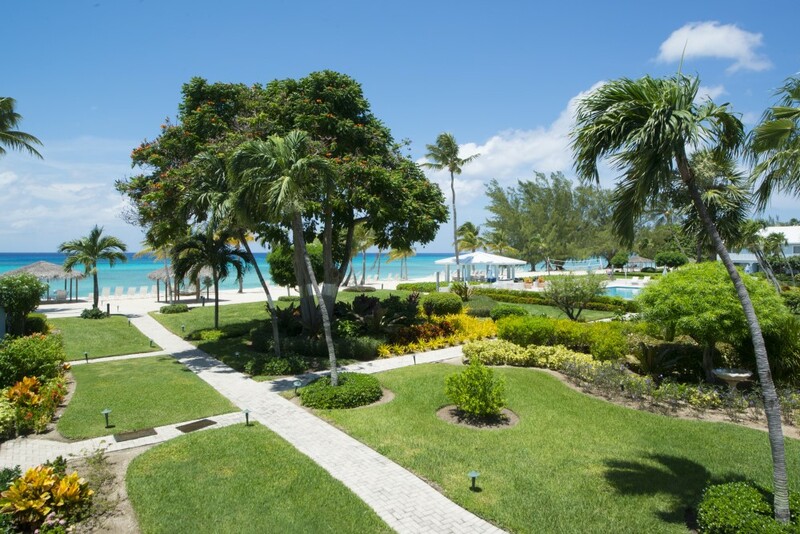 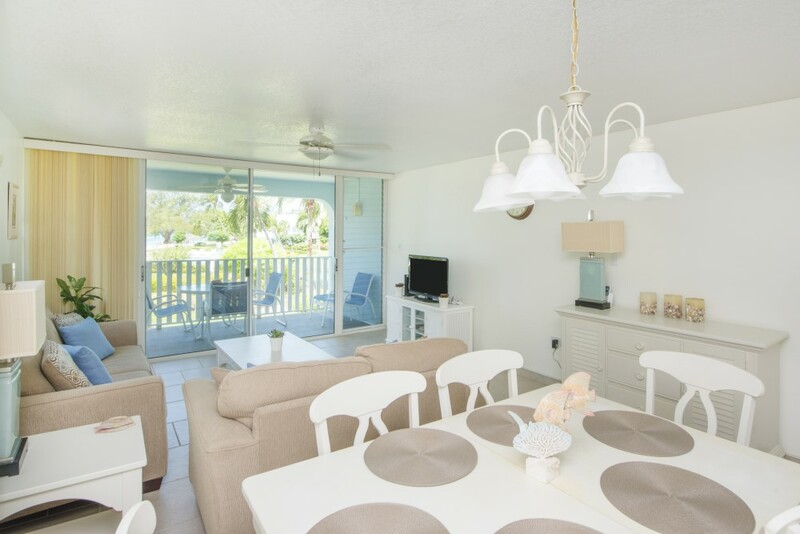 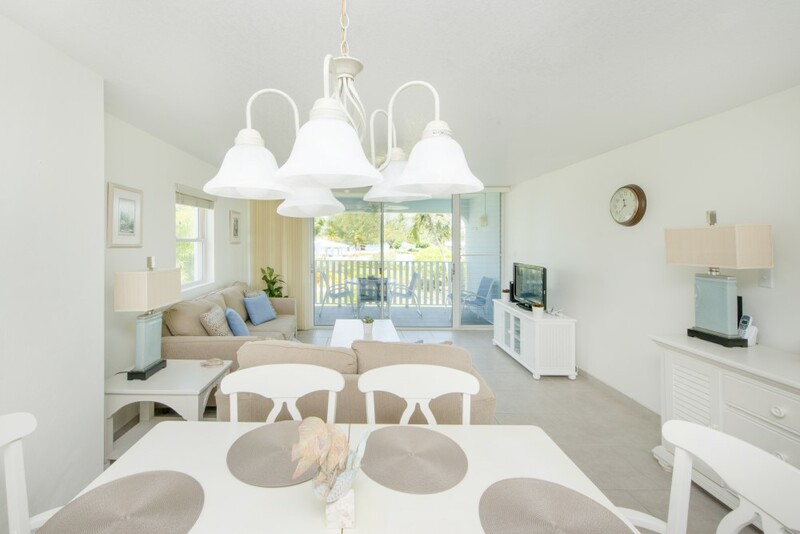 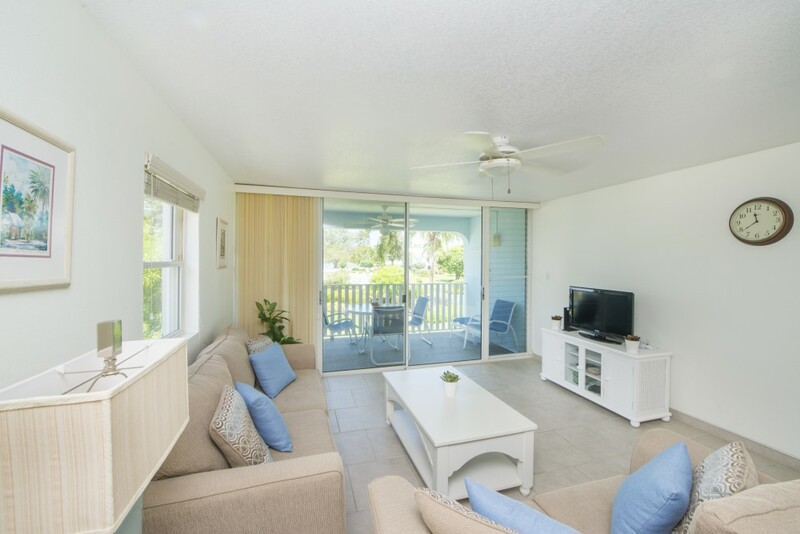 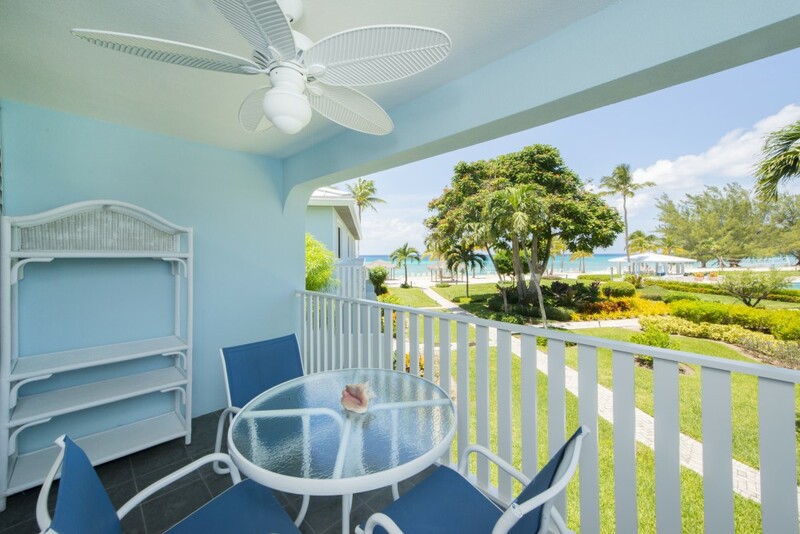 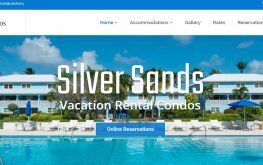 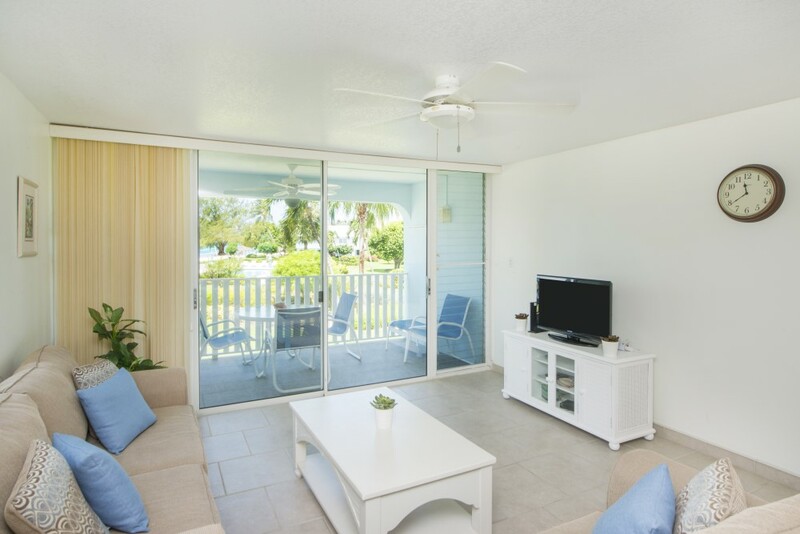 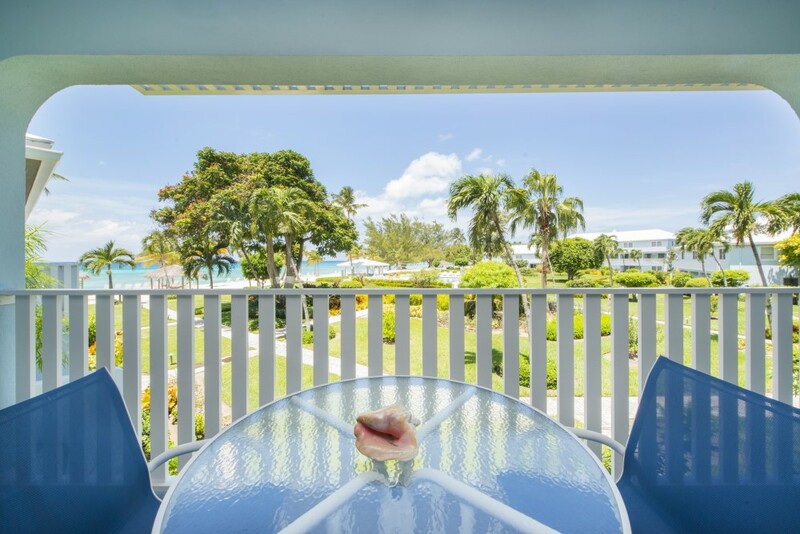 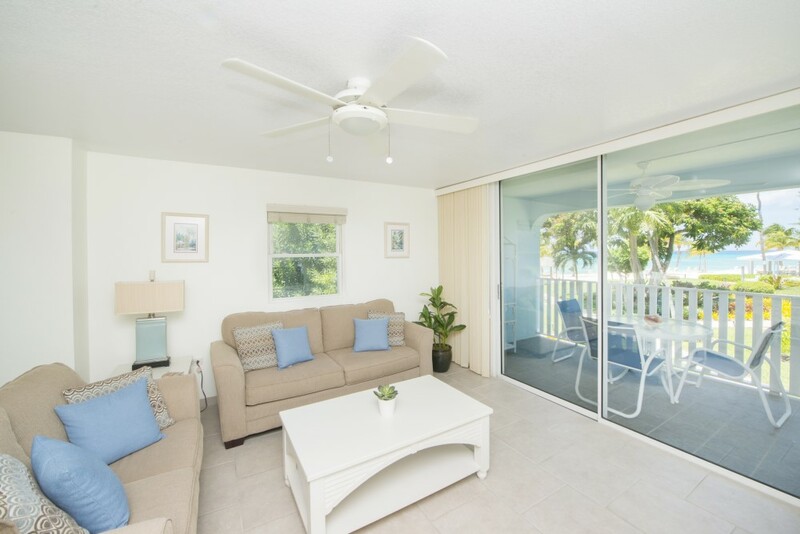 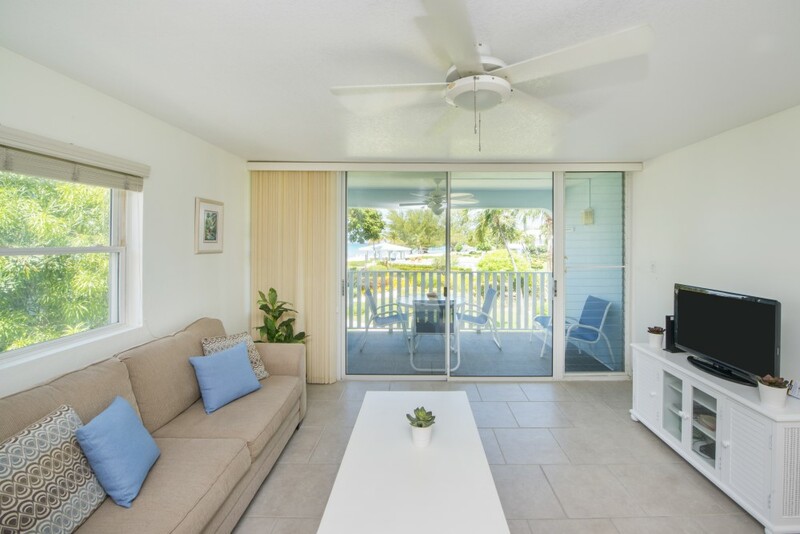 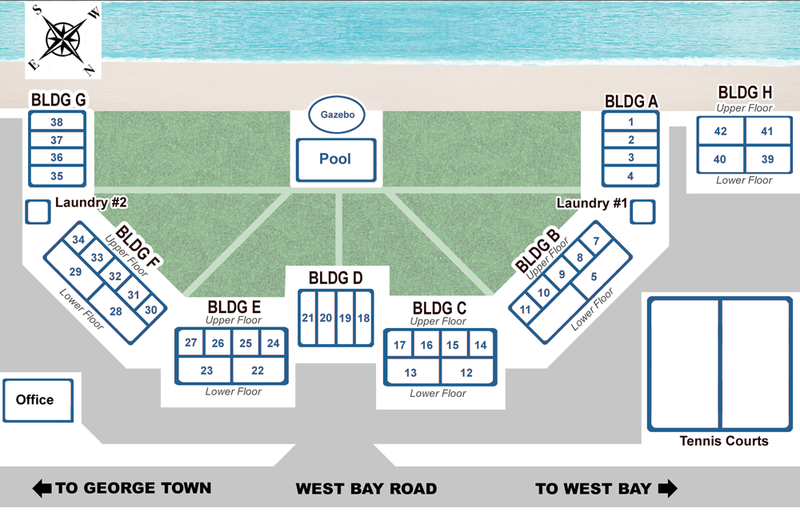 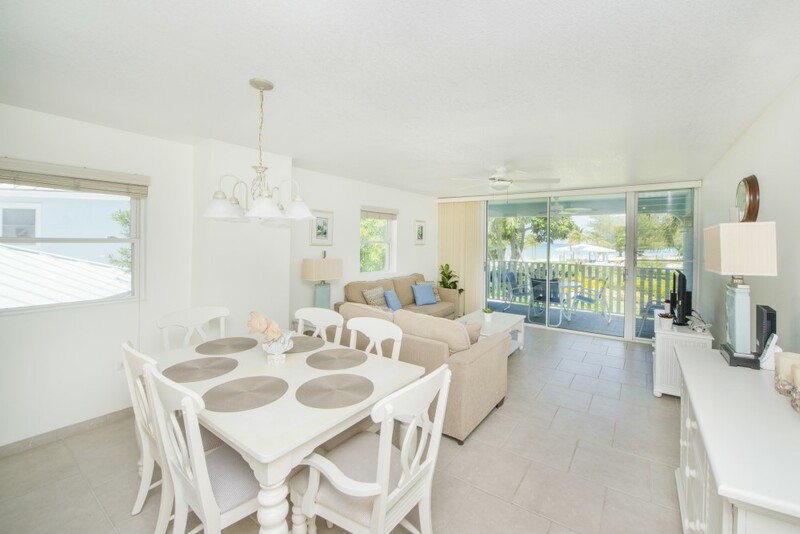 Condo #34 being situated at the ocean end of Building F, is light and airy and enjoys spectacular views of the Caribbean Sea, the beautiful gardens and pool area. 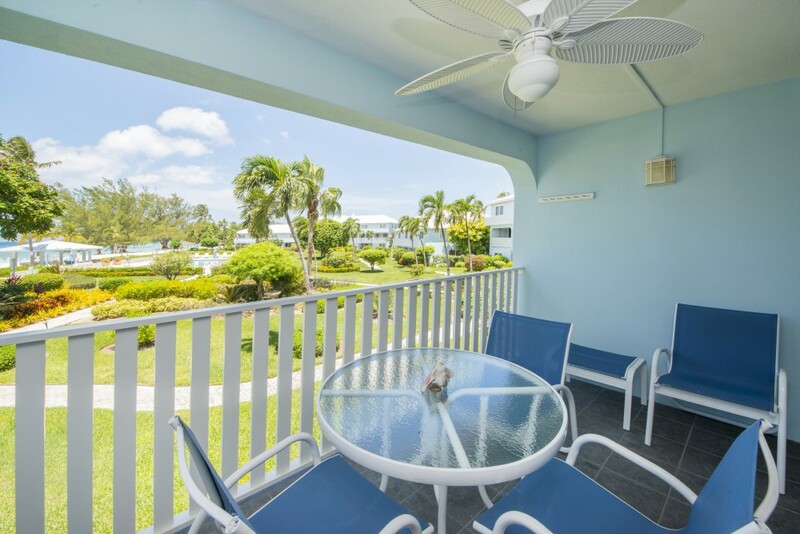 The private patio is a great place to relax while enjoying the view with a chilled sundowner! 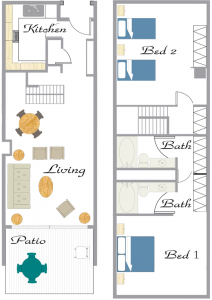 The condo is a two story unit occupying the 2nd and 3rd floors of the building. 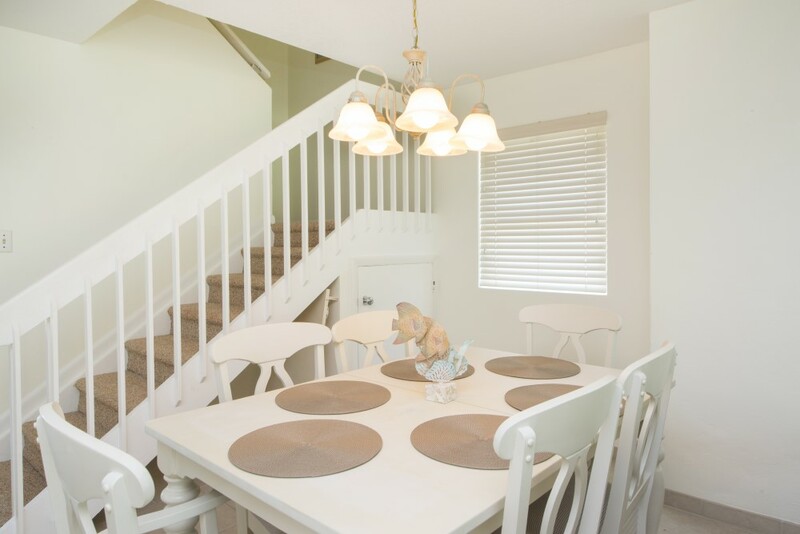 The living room, dining room, kitchen and powder room are on the first level. 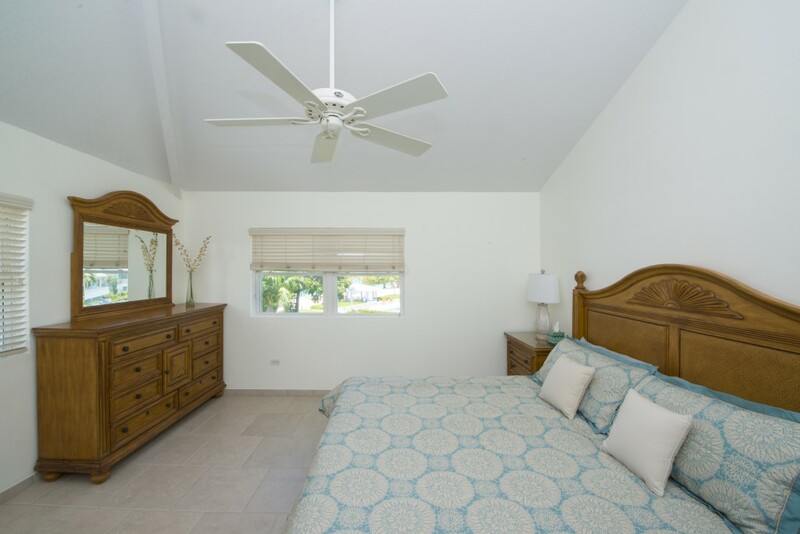 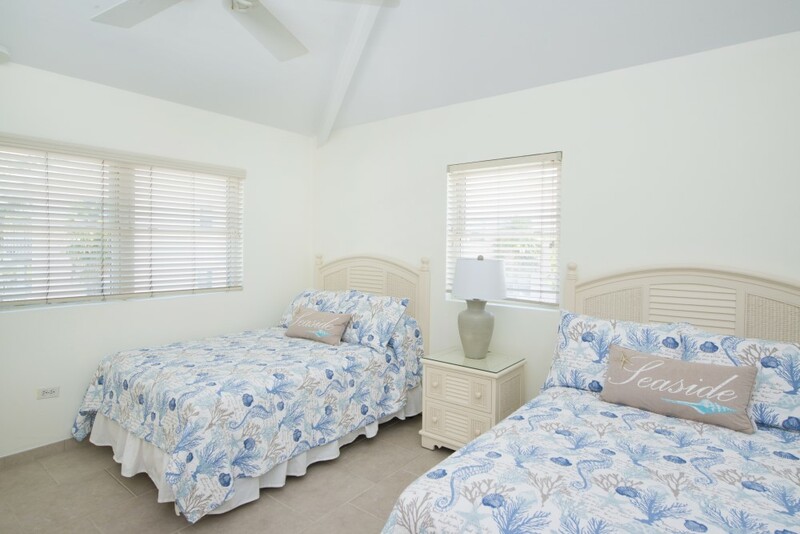 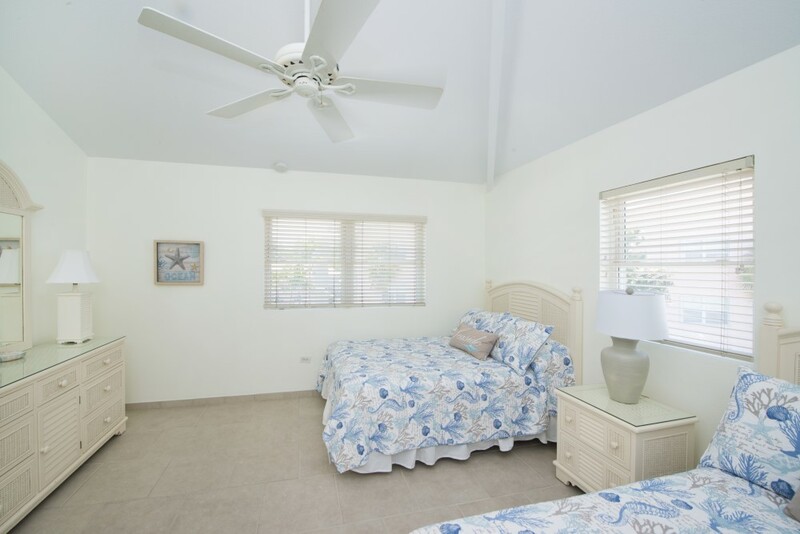 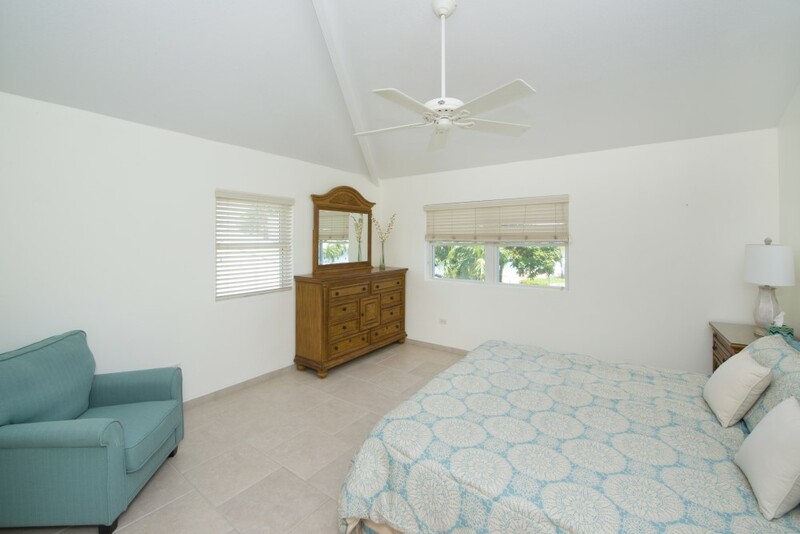 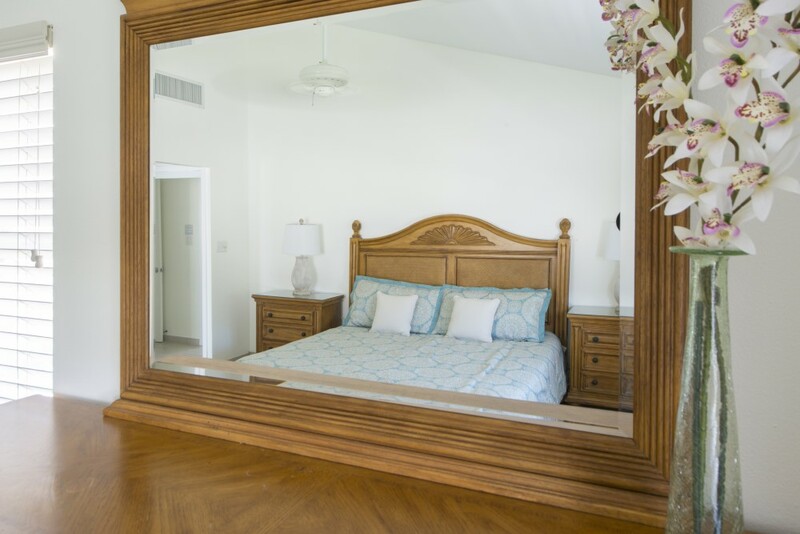 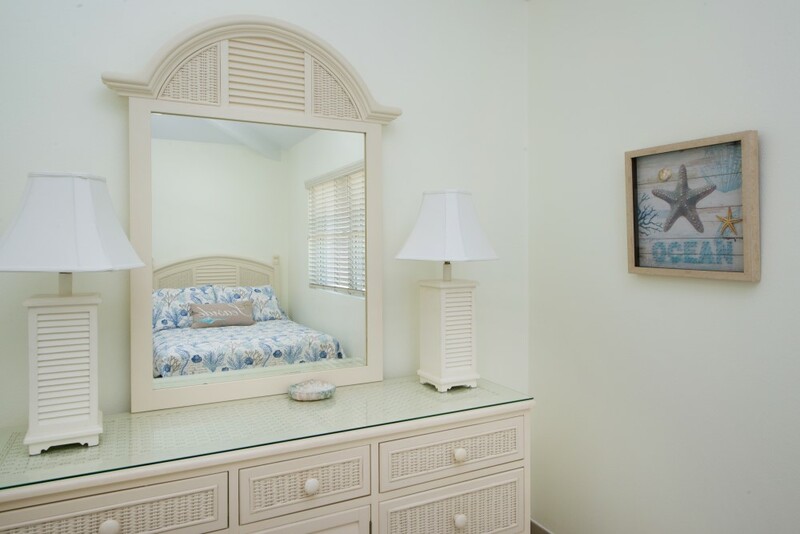 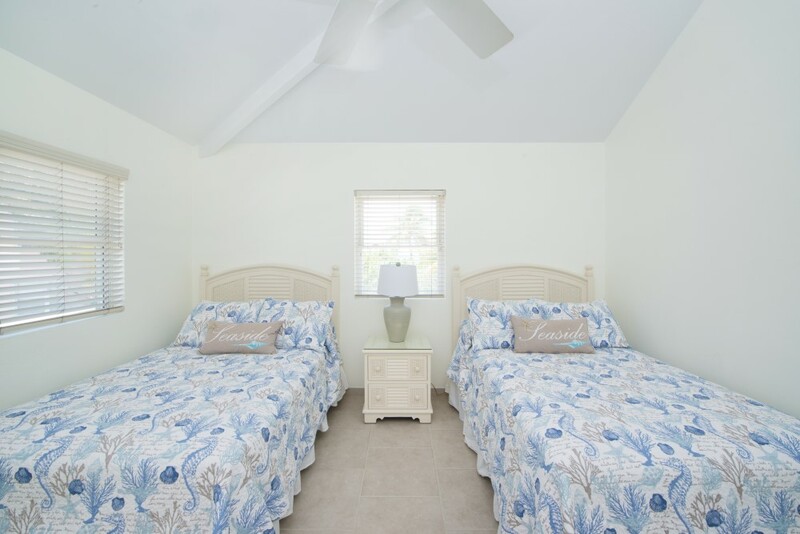 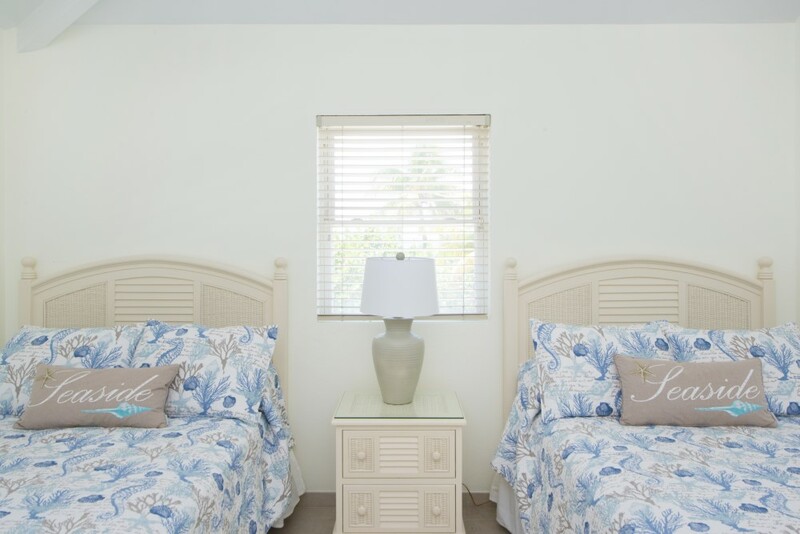 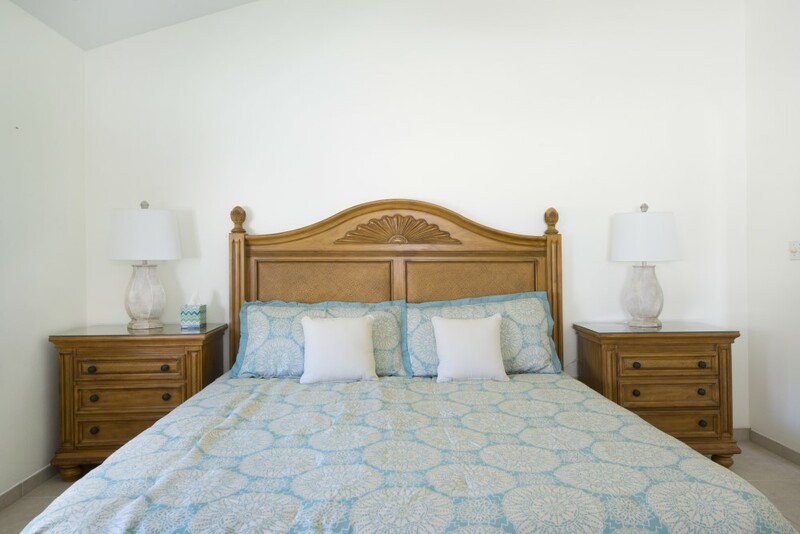 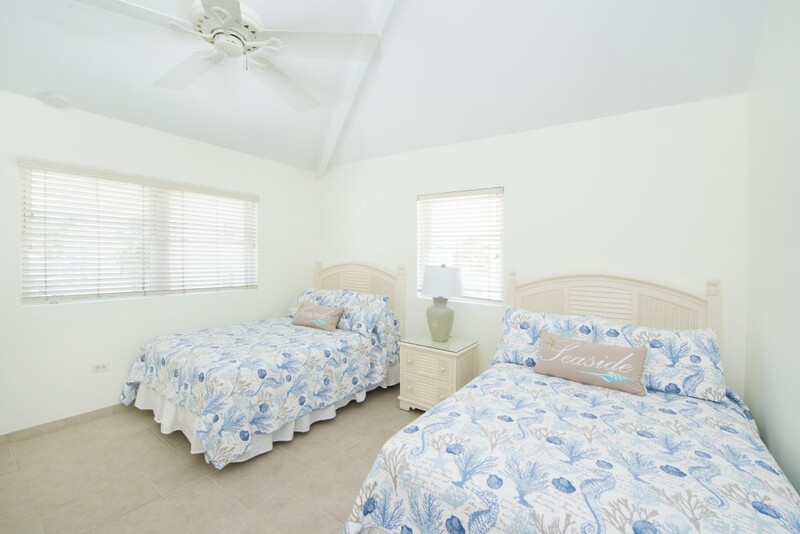 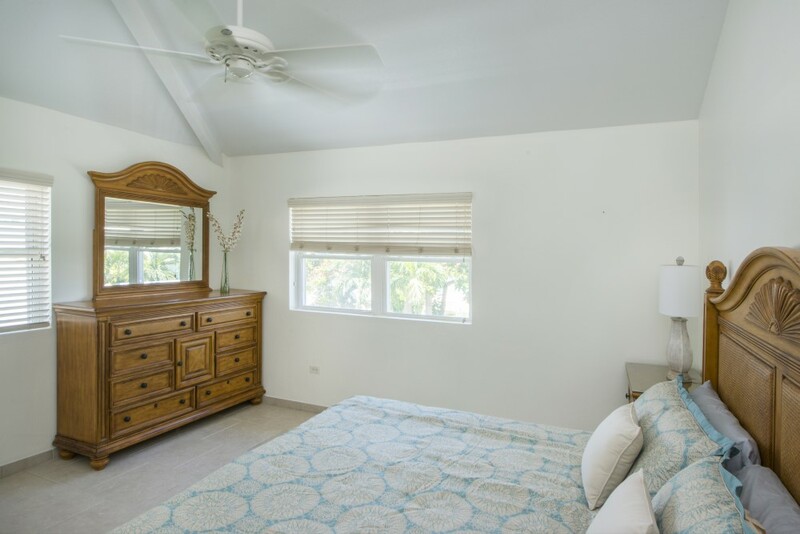 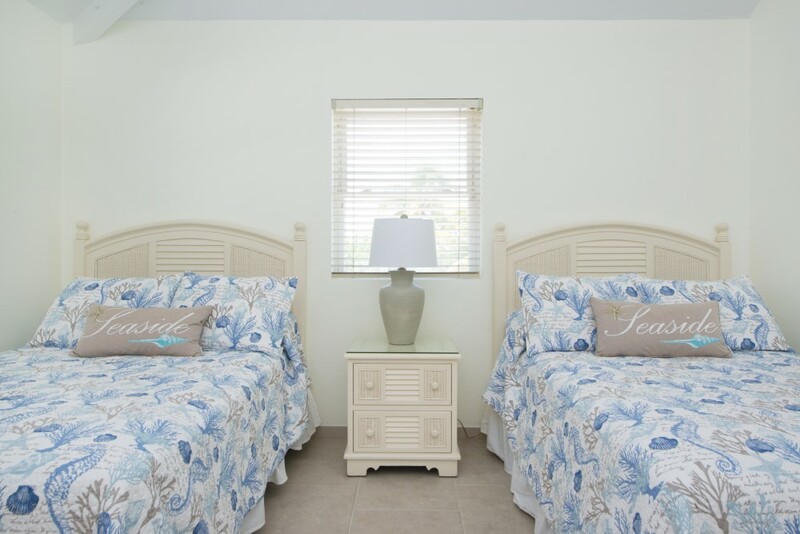 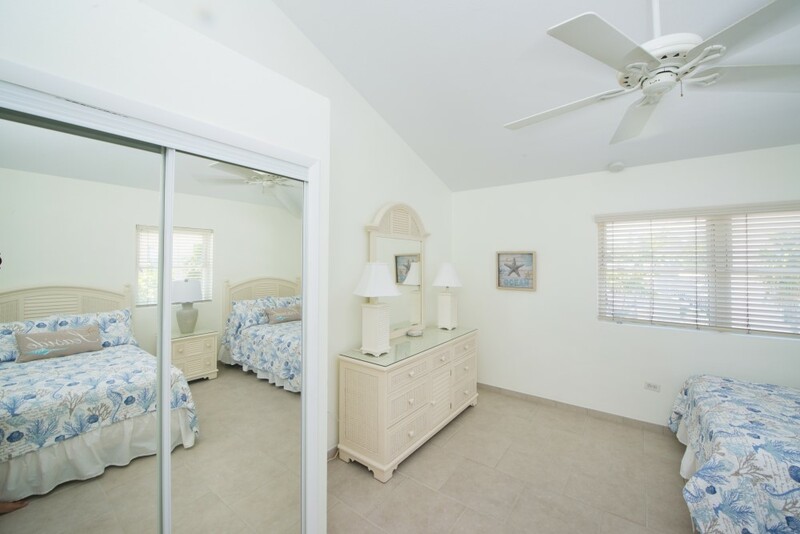 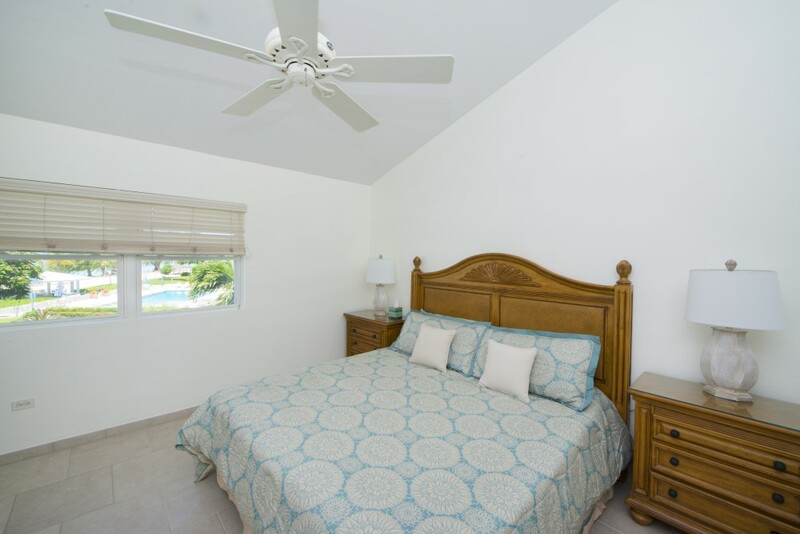 Upstairs, the master bedroom is furnished with a king sized bed and the second bedroom has two full sized beds. 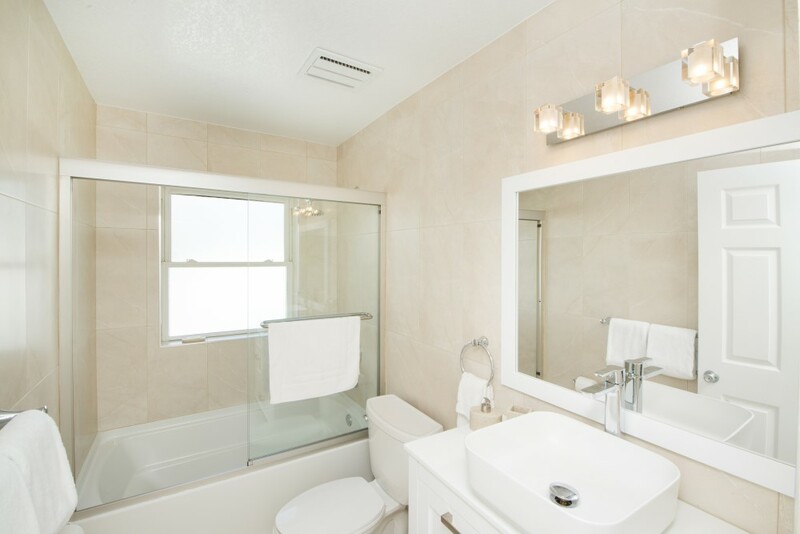 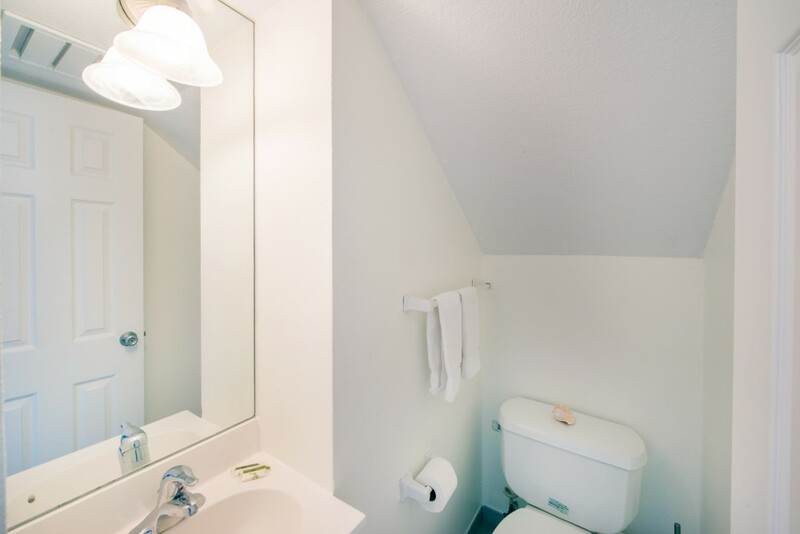 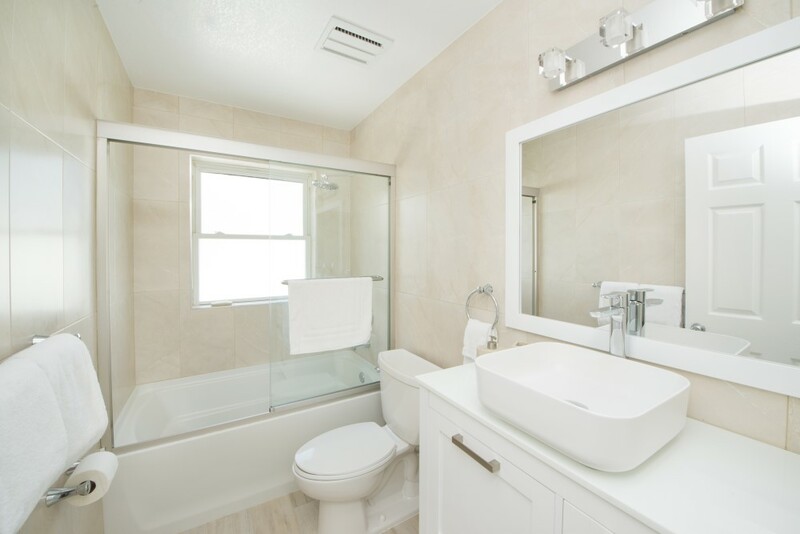 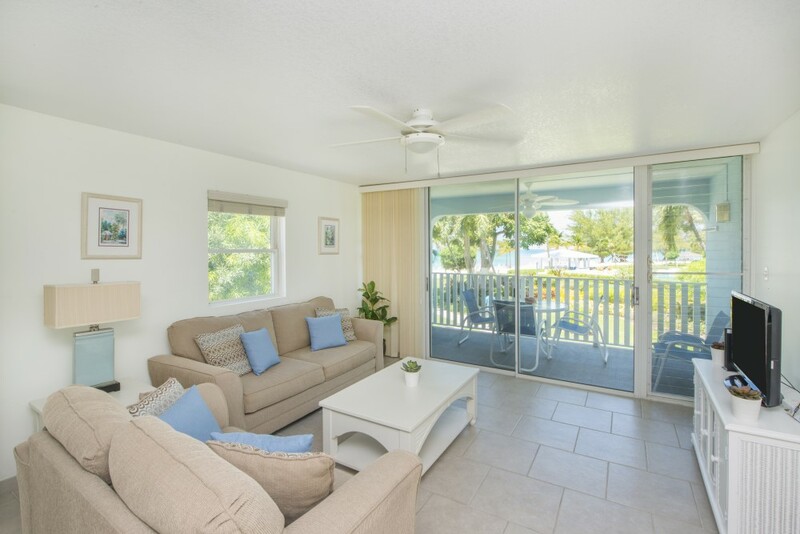 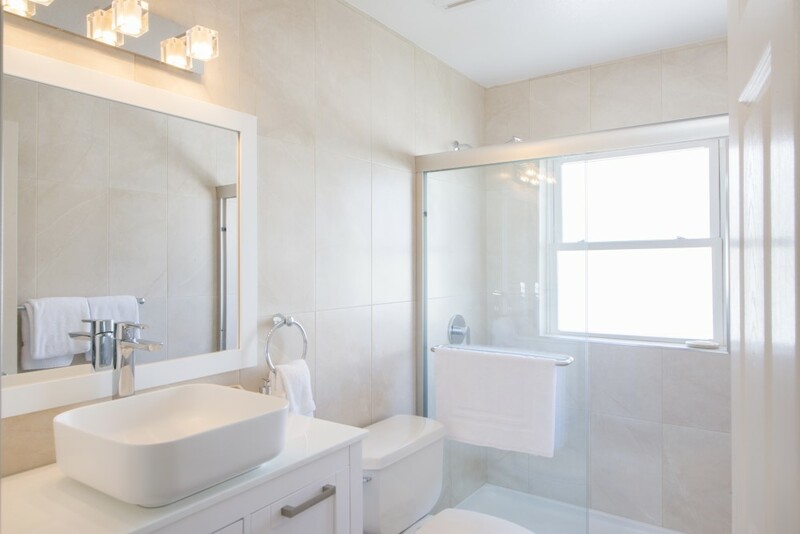 Also upstairs are two full size bathrooms which have been completely renovated in 2018 to high standards.